Patrick’s Painting is a small business located in Alexandria Virginia that services the Northern Virginia area. Established in 2007, owner & founder Patrick Coye has been heavily involved with residential home improvement since 2003. Patrick did a great job, he was on time everyday and the work was very professional! Patrick’s painting was great. They did an awesome job and their pricing was great. If you’re looking for great quality work contact Patrick’s Painting LLC. I highly recommend them. I am a very happy customer and will let my family and friends know about them. Great work with dry wall and painting. Very professional throughout the process. Thank you!!! Patrick came to paint our bedroom. We were so pleased with him and his crew, we had them come back to paint the entire house. Patrick and his team were fantastic. They did exceptional work and were efficient, quick, clean, quiet and respectful of our space, nice guys, and very reasonably priced. They did lots of interior patching and painting for us and were were extremely pleased. I will definitely use him for all painting needs in the future. I highly recommend his team. I thought I was going to have to replace my whole deck but Patrick’s Painting brought my deck back to life, it looks like new! It was a pleasure doing business with this company. Patrick and his crew displayed the utmost professionalism and quality of service. I couldn’t be happier with the end results (new coat of paint in the living, dining and kitchen areas as well as various repairs) and their fair prices. Thank you. Excellent work, very professional and enjoyable experience. Great service and quality! Patrick was great. He scheduled the appointment quickly, gave a fare estimate and was very professional. My neighbor plans to use him for another project because he was so impressed. Patrick is very professional and takes his time with every job to make sure it gets done right. I worked with Patrick and his team just recently on an exterior siding and masonry contract at a local residence in Alexandria. He is very customer-service and detail oriented on his projects and provides high quality results for an affordable rate. You won’t be disappointed if you go with Patrick’s painting. I highly recommend hiring Patrick’s services. He and his team provided a clean, efficient and detail oriented approach to painting several spaces in my townhouse — I had minor to moderate cracks in multiple locations in my ceiling and walls that were repaired/painted making it look like new construction. He also planed a few doors in my house that improved the overall look and feel of the space. Best of all is his responsiveness and customer focused approach to getting the job done. I plan on using him an his crew for future jobs. Patrick and his team did an outstanding job on our decks. We had several wooden planks that were rotted and Patrick’s team was able to save the wood and the decks look good as new. The stain looks great too! We were more than pleased with Pat’s responsiveness and professionalism. He showed up when he said he would and when the weather didn’t cooperate he always contacted us and rescheduled immediately. I would highly recommend Patrick’s services to everyone! Patrick and his team are great. I found him on Yelp and was one of the few contractors to respond to my quote request. I have a 700sq ft condo, with a bright green bed room and a dark accent wall in the living room and I needed to paint over all of it for new renters. He brought in a team of 4 and they got the job done in 1 day. It was executed perfectly and the price was right. I didn’t see a drop of paint (or dust for that matter) after they left. They even went above and beyond and painted an extra door to help the place look better (at not cost to me). Pat is a stand up guy and I would recommend him to anyone. It was an absolute pleasure to work with Patrick’s Painting on a recent interior painting project. Their prices were extremely reasonable compared to the other estimates I received, and I don’t feel we sacrificed quality at all. They painted several rooms, some with high ceilings and extra challenges, and their work was outstanding. They did a great job removing a large mural that required a lot of extra sanding, and they threw in several “extras” free of charge e.g., repainting an extra door and adding extra coats of paint to ensure pre-existing color didn’t show through. Patrick gave me a time estimate upfront (which also beat the competition’s estimates) and got the job done exactly on schedule. I would definitely call Patrick again for future painting projects. I recently needed my bedroom painted and a coworker gave me Patrick’s name. I contacted Patrick with a very short time frame to paint before I moved in. He replied immediately with a very reasonable quote and gave me a time table, which fit into my short time frame. Patrick arrived on time and got right to work. He was courteous, clean and worked quickly and efficiently. He was completely finished and cleaned up in two hours, and I was able to continue on with my Saturday. I have already recommended him to my parents who are planning to sell their home and I would recommend his services to anyone I know who needed a painter! Patrick and his crew pressure washed and stained the inside and outside of our fence at our townhouse last summer. It looked great and passed the Homeowner’s Association’s inspection as well. A few of my neighbors used them and were really satisfied with their workmanship. Patrick was very knowledgeable about the types of stains and found what would be best for what I wanted and still meet the HOA requirements. I would recommend him to others and will be using him for future projects. I needed to get my basement painted quickly so we could move in. not only did Patrick give us a quote lower than anyone else, he worked with our time constraints and we were ready to move the following weekend. They did an AMAZING job and were able to finish in one day. I would definitely recommend Patricks Painting to anyone who asks. Patrick’s Painting recently painted our kitchen cabinets and walls, and home office. Our experience with Patrick and his crew was great and I would highly recommend them. They were prompt and very professional, and completed the job on time. Patrick was receptive to our needs and made sure the job met our expectations. We will definitely be using Patrick’s Painting for future home improvement projects. From the first contact to the finished job, it has been a great experience. Patrick and his crew could offer lessons on how to be polite, professional and meticulous. I sure feel that I got my moneys worth, and then some. We used Patrick’s Painting to do a variety of painting and touch-up work before putting our home on the market. Patrick and his workers do an excellent job. Very professional, polite, with a lot of attention to detail. We’d use them again without hesitation. Paint selection was perfect, job was done on-time and in a professional manner. My apartment looks better than it ever has! Patrick and team are great. Super professional and very detailed. I used them once for my apartment bedroom a couple years ago and hired them again recently to repaint an old townhouse. He also connected me with some other good home repair/contractors for other needs, very helpful. Excellent quality!!! These guys were actually hired by another contractor to repair a mess they caused at my place. They did quality work and I ended up hurting them for another job. Nice guys, quality work. I had a great experience from beginning to end. Fantastic job staining my deck and great communication throughout the process. I highly recommend Patrick and his crew. Had Patrick and his team power-wash and stain/seal my deck. Their work was just as expected, but more importantly, Patrick actually keeps appointments, uses email, and stays in contact throughout the project. I’ve found in working with other home service providers this can be a rare thing. Great to work with and looking forward to the next project. Pat did a fantastic job power washing and staining my fence, and has also taken care of my windows for years. I can always count on Pat’s professionalism, responsiveness, high quality work, and fair pricing. Highly recommend Pat and his crew for your next job! Was referred by a friend to Patricks painting, he gave me a great price. They painted a bathroom and our foyer, it looks AWESOME. They were very professional and affordable. I will be calling them again when Im ready to have some more painting done. They did a GREAT job. A joy to work with. I would hire him again. If you want a good painter, Patrick is the one call. Patrick’s did some interior wall and ceiling painting in our house. The work was done very professionally and the final product is great. 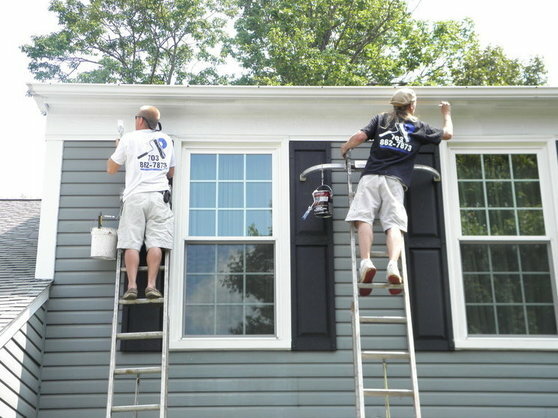 Patrick was on the job and the other painters were very pleasant, trustworthy and hard working. The pricing was very good and reasonable. The work was done very expeditiously. We highly recommend Patrick’s. I enthusiastically recommend Patrick and am looking forward to working with him again. Every part of the experience, from the initial estimate to completion of the drywall and painting, was problem-free. One part of our project was a challenging spot to work in as well, as the space was on a staircase, somewhat narrow, and almost 20 feet high. They did an outstanding job, and we will certainly call them again for future projects. We had a great experience with Patrick’s Painting, and I consider myself to be a very discerning customer. I highly recommend this company! Patrick’s Painting was amazing. Their team recently painted the interior of my 3 story town house, and pressure washed / stained my deck and fence. The results were flawless and the clean up was immaculate. I am extremely happy with the results, as well as the customer service. His office manager, Genesis stayed in constant contact with me letting me know when he was going to start and proposed finish time of the job. I also had plenty of questions to go along which were answered. I would highly recommend Patrick’s Painting to any of my family or friends and already have him lined up to work with my father who is selling our family home. Thanks Patrick I’m so happy with the new colors in my house, I am looking forward to having the crown molding installed and chair rail installed next month. Patrick’s is what a business should be but rarely is. I wish every businessman I deal with could be half as professional. Patrick’s crew power washed and stained my fence. The entire experience, from estimate to final payment, was a pleasure. Patrick and Genesis were both so responsive and communicative, giving plenty of notice before the job was to be done and sticking to their word, reaching out immediately when weather caused plans to change. The job was done right and looks great. Payment schedule made sense and made me comfortable. Patrick’s is a class act from whom other handyman/painting businesses should really take some lessons. Thank you!! I got a quote from Patrick’s Painting and another contractor as well. Patrick’s Painting was the cheaper option and when meeting him when he gave the estimate, I felt he was professional so we arranged to have some drywall work done and touch up painting. Patrick’s team arrived on time and did the work quickly and professionally. It looks really good and I am happy with what they did! I will be calling them back again when I have saved up more money for other work I need done! Also, they gave me Patrick’s Painting cookies at the end..they were really good. Patrick and his crew were recommended to me, and I’m sure glad they were. We moved to the area from overseas, and our house needed some pretty extensive work (total repainting, some wall shifting, a new master bath, a new patio, new flooring etc.). We had a very short time frame and I was certain we’d be over budget and out of time. I was wrong. Patrick delivered, and then some. In two weeks and two days, he and his crew made it happen. As other’s have said, Patrick is neither the least nor the most expensive. But what you will definitely get is value for money. The communication from Patrick and every member of his team was clear, concise and consistent. We are thrilled with the outcome, and will definitely be calling on Patrick again when we need assistance. Did an excellent job painting my office. They are a quality company – quick, clean, good price. Im most satisfied because they really transformed my office and exceeded my expectations. Its hard to find a good contractor like this. Its not often that a recommend a contractor but I do recommend Patrick’s Painting. We will hire him this spring for some power washing and house painting at my residence. I bought a large, 5-bedroom home in Alexandria which required a complete paint job throughout – walls, trim, doors, etc. I flew in from California and lined up three painters for an estimate. All the estimates were competitive… but Patrick stood out as he was the only one to keep in contact and continue to answer my questions after I had flown back across country. (With the other painters… it was like out of sight, out of mind.) I hired him based on that trait. His quote was very reasonable, as well. I told him the colors I wanted, and gave him the combination to the lockbox. He worked unsupervised and even emailed me picture updates periodically. When I flew in to Virginia last week, I couldn’t have been more pleased with the final result. He even left me some paint for touch ups down the road. It was then I decided to hire him to refinish the deck, which he has agreed to do this month. If you want someone who is attentive, detail-oriented and delivers on time — hire Patrick’s Painting. Before we began, we needed to have a painter that could get the job done while my wife and I were out of town. Not only was Patrick’s Painting, able to get the job done around our time frame, but they got the job done right and at a reasonable price. Patrick and his team were able to paint the entire interior of our four story house in a matter of a eight days. Considering all of our crown molding, dental molding, and medallions in our dining room, this was a tall task. His team was extremely through and courteous, and I am looking forward to using his services again. I will post pictures in the future. Patrick was the fourth and final painter from whom I received a quote for a relatively small job. The first three quotes were so far apart that we couldn’t make a decision because the comparison was apples to oranges. When I called Patrick, he came over within 48 hours to look at the house and do the estimate for us. He was polite, on time, and very clear about what it would take to do the job, how long it would take, and how much it would cost. His estimate was neither the highest nor the lowest, but it seemed the most clearly articulated – I knew what I was getting for my money. When it came to the job itself, they were willing to accommodate my schedule and showed up on time, went right to work, took no more than the amount of time they’d originally estimated, and cleaned up after themselves when they were done. The room had a significant amount of damage from some old cabinetry and shelving, along with different coats of contrasting paint to deal with. Patrick and his crew spent a lot of time and care to prep the walls and ceiling before starting the actual painting. The room they painted is now one of my favorite in the house! Patrick was referred to me by a former neighbor. I contacted Patrick to give me an estimate for some repair work for a home I was going to be renting out after moving to a larger place. He was very punctual, and pretty fair. The scope was pretty small in comparison to the initial estimate, but they did a great job. I got a room and the ceiling in the mail level of a townhome painted, they were fast and pretty good at protecting around their work and cleaning up after the fact. I will have them come to my new home to do some work as soon as I get unpacked. Patrick and his team recently painted almost our entire home, and we’re incredibly pleased with the results. At the outset, I appreciated that Patrick was responsive and professional. Compared to other companies in the area, he gave us a very reasonable estimate – which included the painting, some drywall repair and a difficult custom stripe job in the stairwell. His team was punctual, courteous and careful with our belongings. I definitely felt comfortable having them in our home (our dog did too!). The guys finished up ahead of schedule, were great about touching up spots we noticed along the way – and the paint looks fantastic. I’d definitely recommend their services. We had Patrick and his team paint several rooms and ceilings in our house. From quote to completion, working with Patrick was easy. He was straightforward, communicative, and accessible. The project took exactly as long as Patrick estimated it would, and he and his crew stayed late to make sure it was finished on time. And, just as importantly, the paint job itself is high quality: all of the lines are straight and everything looks even and fantastic. We would absolutely recommend Patrick’s Painting, and won’t hesitate to call Patrick again for future projects. I would highly recommend hiring Patrick’s services. He and his hard working team provided a clean, efficient and detail oriented approach to painting several spaces in my townhouse — I had minor to moderate cracks in multiple locations in my ceiling and walls that were repaired/painted making it look like new construction. Best of all is his responsiveness and customer focused approach to getting the job done. I plan on using him an his crew for future jobs. Had holes in my ceiling stemming from some previous work that was done. This group was recommended by electrician. After sending some photos of the damage, Patrick gave me an estimate and a plan. They were accurate in their pricing and timeline. The result greatly exceeded my expectation, and you would never know there was any damage there at all. I would recommend them. Patrick was presented with a difficult task, paint seven rooms in three days. Working early and late to complete the job, patrol and his crew did an amazing job under a lot of pressure. I would and will use him again for all my home needs. Patrick and his team painted our new condo and did an excellent job for a reasonable price. Very professional and we will be using their services again in the future. Overall, we were very pleased with the project and will certainly use Patrick again! He’s easy to work with, very patient with idiots (like me), and exceeded our expectations. I am fortunate I have the opportunity to appreciate his work every time I am on the deck or look out one of our now clean windows! 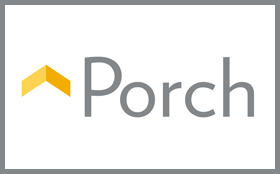 After getting several quotes that were all over the map in terms of price and technique for repairing and refinishing our large double back deck, I contacted Patrick. His quote was in line with two of the others but his technique seemed more sound. He came over once or twice before starting work to make sure that he understood what we wanted and went out of his way to acquire a new high quality product for adding the stain that was supposed to be more durable and last for much longer than some cheaper stains. Although slightly higher in cost, the fact that the deck stain was more durable was definitely a draw. As promised, Patrick came when he said he would and he and his crew did an outstanding job. Our old deck looks like new and I am delighted with the outcome. I would definitely recommend Patrick for painting or staining your deck. He is very professional and does high quality work. I contacted Patrick through an electrician that did work in my home. My project for Patrick was to repair/paint the drywall damaged when I replaced my electrical panel with a new one. I also asked Patrick to install a backsplash in my kitchen. Patrick’s estimate was completely fair and reasonable. Then things get better. He was prompt in scheduling his crew to come I , they were at my home at the times promised very day. Ey did an excellent job protecting my home furnishings near the work area. And more. They were meticulous in doing the taping and bedding for the drywall and hey painted much more than just the area they repaired. You cannot even tell that where the electrical panel was installed ever was there (I reversed the panel so it was no longer opening in my kitchen, so I could install cabinets & counters in the future). Finally installing the backsplash, he again took tremendous caution installing the mosaic tile and giving us an excellent final product. Patrick and his crew take pride I their work and it shows. I wholeheartedly recommend him for any project relating to painting and drywall work. We have used Patrick for both interior and exterior work. In both occasions we obtained three estimates, and Patrick was in the middle both times. His team was able to successfully smooth out a badly textured wall and handled very high ceilings over a stairwell with ease. Based on the work they did inside, we hired them again to power wash and stain our deck and fence, which they carefully did by hand. I was particularly pleased with Patrick’s detailed estimates and responsiveness. We had concerns about one aspect of the work, and Patrick sent his team back to fix it at no charge to us. I would hire them again, and have gladly recommended them to my neighbors.